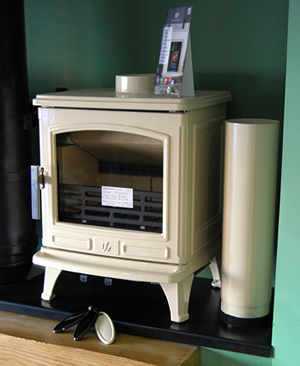 Wood Burning, Gas and Multifuel Stoves from West Midlands Stoves, in Birmingham, Worcestershire and the West Midlands. West Midlands Stoves are based in Stourbridge, West Midlands, serving Stourport, Bromsgrove, Kidderminster, Dudley, Brierley Hill, Birmingham, Wolverhampton, Hagley, Wombourne and the whole West Midlands area. Trading as Brettell Lane Stoves, we have a brand new large showroom with over 76 stoves on display with 18 of them as live demonstrations and over 20 fireplace displays with surrounds. 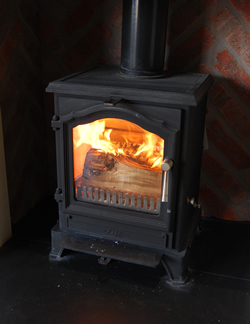 Our full range of services includes supply and fit of Wood Burning Stoves, Gas Stoves, Log Burning Stoves, Multi-Fuel Stoves, Flues, Flue Liners and all chimney accessories in all locations in Bromsgrove, Kidderminster, Romsley, Halesowen, Wombourne and the greater West Midlands and Worcestershire area. Come and have a browse at your leisure – with a range of this size is it easy to see what you can do with a Stove in your home. With over 20 years experience in the stove and chimney and flue industry we know exactly what you expect and we never fail to deliver. All our work is carried out with our own staff and installers, from sales to installation using only experienced HETAS registered installers and craftsmen. We can carry out all building work and plastering that is associated with the installation of your stove. We carry out testing and lining of flues, installation of pots cowls and also chimney sweeps and servicing. We even install stoves that haven’t been purchased from us as long as they conform to British standards or are European certified. Unfortunately we can’t fit a wood burning stove into a smoke controlled area unless it is DEFRA approved. Multi fuel stoves can be fitted but you may only burn smokeless fuel on them unless they are DEFRA approved. You can get a full list of approved fuels from the HETAS website. Find out more about our extensive range of multi fuel, wood burning and DEFRA approved stoves here. Visit us virtually – before you visit us in store – click here or use the image below – just grab it and move it! Our range of new stoves is in such demand we’ve had to get a bigger showroom. We have over 76 stoves on display with 18 of them as live demonstrations and 20 fireplace displays. We are still at our site at Ems Court, Meeting Lane Industrial Estate (click here for a map) in Stourbridge but we have moved to a bigger unit to show off more of our range of fantastic stoves. We have also increased our range so there are more stoves than ever for you to compare in complete comfort and at your leisure. For directions please click on the map or contact us for more information. Call in to our brand new showroom at Unit H, Emms Court, Meeting Lane Industrial Estate (view map) or call us on 01384 263290 for more info. The #1 professional fitters of Stoves, Flues & Flue Liners, Chimney's & Cowls in the West Midlands, Birmingham and Worcestershire. We won't be beaten on price & quality! We supply and fit Stoves, Cowls and are installers of Cowls, Chimney Pots, Flues, Flue Liners, Stoves, Wood Burning Stoves, Multifuel Stoves and stoves of all types in: Dudley, Brierley Hill, Kingswinford, Romsley, Wombourne, Solihull, Selly Oak, Hagley, Halesowen, Kidderminster, Bromsgrove, Bewdley, Stourport, Stourbridge, Redditch, Birmingham, West Midlands, Worcestershire and Wolverhampton. Developed By R2 Design Ltd.